School menus are seasonal, the Spring/Summer menu is available from April to mid October and the Autumn /Winter menu starts after October break to March. To view the current weekly menu click here. The ticket price for a primary lunch is £2.15 and is FREE for all P1 to P3 pupils. School lunches can be paid for through our Parent Pay system. School lunches have a 3 week menu cycle that allows us to offer more popular menu items and provide balanced, nutritious lunches based on current healthy eating guidelines. Fresh bread, seasonal salads, fruit juice and milk are available each day. Yoghurt and Fruit is always available as an alternative to the pudding. 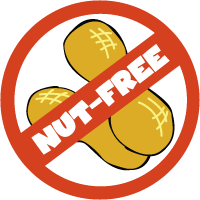 Special diets /Food Allergy can be catered for and parents should contact the headteacher to discuss any special dietary requirements. Children who stay for lunch in school must remain within the school grounds where supervision is provided. Some families may be entitled to Free School Meal Allowance. Follow the link below to find out more information and check if you are eligible.